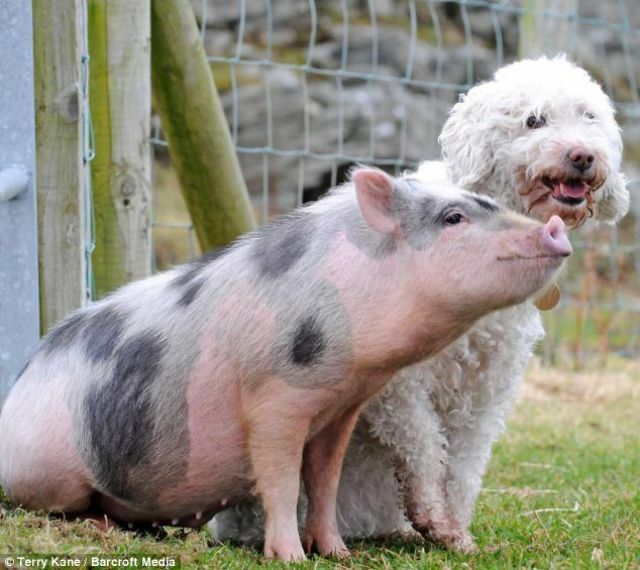 The case of Louie the pig makes gender confusion in humans seem so trivial. 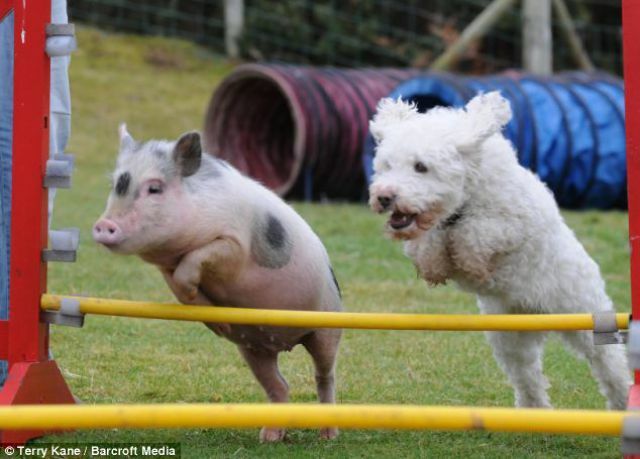 The nine-month-old pot-bellied pig is so convinced he’s part of a dog pack he happily trots through tunnels, leaps over jumps and weaves between poles just like a dog. 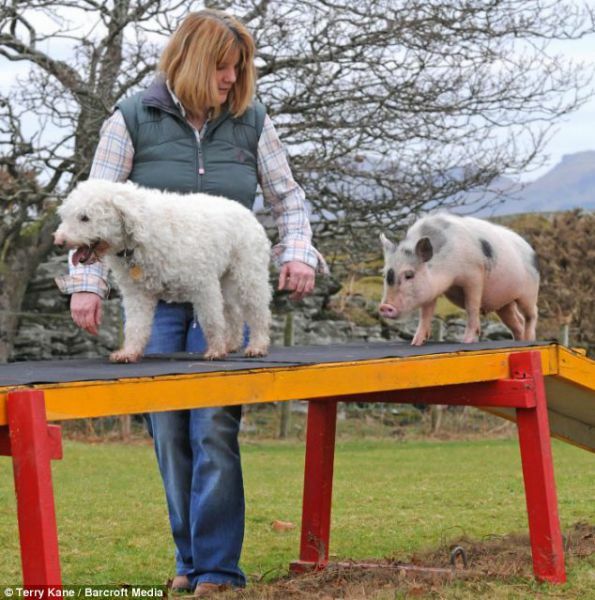 A celebrated performer at agricultural shows, Louie plays fetch and even responds to his name – all very unusual characteristics in a pig. 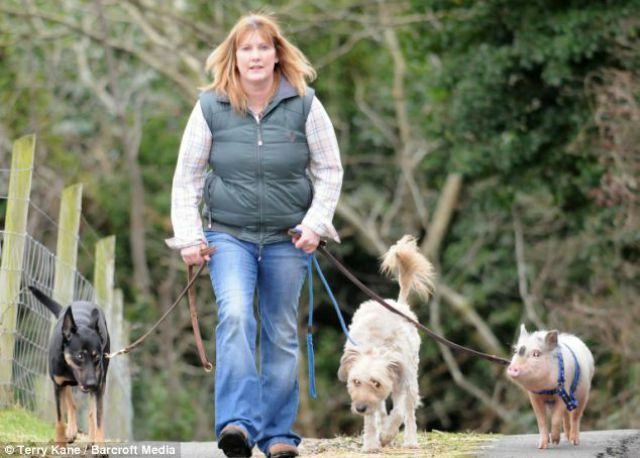 The ginger biscuit loving pig has been welcomed with open paws by his canine colleagues. 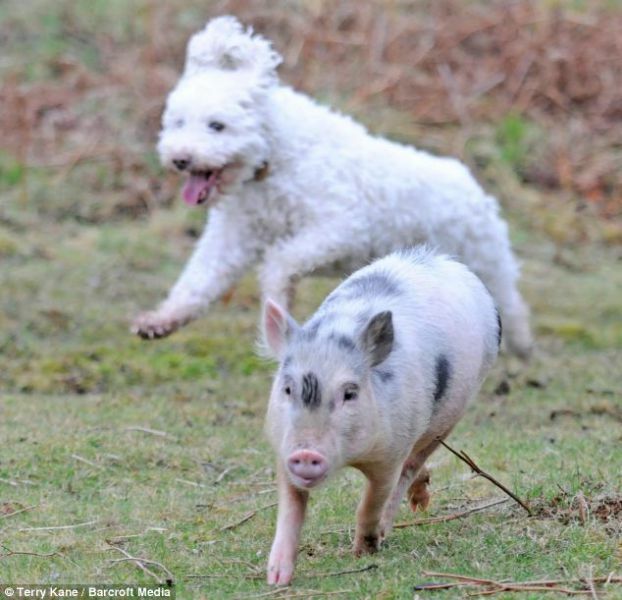 I want a piggy, too! So cute!